Juneau. Beautiful, lush wilderness and a great spot for whale watching, but you probably knew this. Just like you probably know about the stunning Juneau glaciers that call this area home. 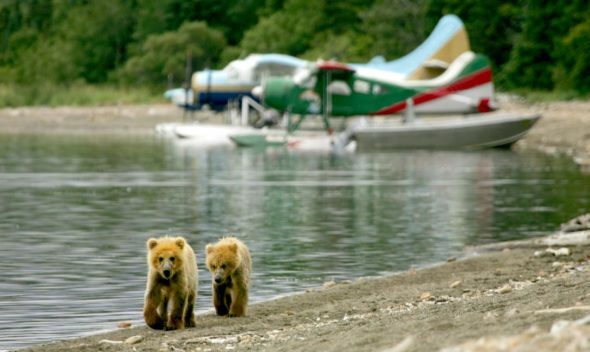 But here are 12 things about Juneau that you probably didn’t know. Did you know you could follow the yellow brick road to Juneau? How about that Juneau has been in the movies? (And no, I don’t mean that “Juno”) I bet you wouldn’t guess that your favorite meal in Juneau might come from a truck? There are so many unexpected things to learn and things to do in Juneau; you just have to know where to look! Use these tidbits to inspire your next trip and who knows? Maybe you will find a new hidden treasure for our list. 1. Half of all bald eagles in the world live in Alaska. This means you’ve got a pretty good shot at taking a look at the most American bird ever, in its natural habitat, maybe even soaring over one of the lovely Juneau glaciers nearby! Juneau is known for being a great spot for bird watchers to see them swooping down in all of their majestic glory as about 20,000 call Juneau their home. Whether you mean to or not, spotting eagles is definitely one of the things to do in Juneau you’ll be checking off your list! 2. You may not be in Kansas anymore, but that doesn’t mean you won’t have a chance to visit Dorothy and the gang during a visit to Juneau. The cast of the Wizard of Oz including the twister and yellow brick road, can be seen on the roof of Reliable Sheet Metal at 5441 Glacier Highway. The owner has taken great care to include thoughtful details on these painted metal statues. Glenda the Good Witch has not yet made her debut, so who knows when she will make her grand entrance. 3. Juneau was named after Joe Juneau, who, along with the co-founder of the city, discovered gold, sparking the Alaska Gold Rush back in 1880. By the time the mine closed in 1944, over $80 million dollars worth of gold had been found. Pretty impressive! 4. Um, do you want to go back in time to the last ice age? Yes, for Juneau glaciers! Juneau glaciers are pretty old. I mean they are actually from the last ice age. Juneau has the fifth largest ice field in North America and you have 38 glaciers to choose from for your awesome selfie collection. Juneau glaciers: Talk about one of the more stunning things to do in Juneau! 5. Yes, I know we were just talking about glaciers, but guess what? Juneau has some really scenic beaches as well. The False Outer Point Beach is not only lovely to look at but also home to some really cool ocean life. Animals that mainlanders may not be used to: urchins, anemones, limpets and a variety of different colored star fish, all call the Outer Point Beach their home. Trails from the Outer Point lead to some really impressive views. If the tide is low enough, you may be able to walk to the nearby Shaman Island, but you probably shouldn’t. Wouldn’t want to get stuck out there and have to figure out how to eat the star fish to survive. 6. Movie buffs will be delighted to know that yes, films have been shot in Juneau. There was also some classic TV filmed here. The 1982 sci-fi horror movie, “The Thing” tops the list. Don’t let that take away from the fact that the ’97-98 season finale to Baywatch, “Baywatch White Thunder at Glacier Bay,” is also on this list, thanks to the Juneau glaciers that helped provide a backdrop! And don’t forget an episode of The Love Boat and Northern Exposure. Ok, I’ll mention one more: In 2013 the long running reality adventure show, “The Amazing Race” featured Blueberry Hills. 7. Alternative food enthusiasts will love that Juneau has been exploding with new food trucks and pushcart vendors for some time now. In June of 2015, 11 new spaces were added to create more variety to the already long list of sidewalk vendors and countless trucks. Some of the offers you might encounter: American (of course), vegetarian, seafood, and Polynesian. Walking around has never been so delicious. 8. The old saying you can’t get there from here basically applies perfectly to anyone trying to take a road trip to Juneau. You are going to need a ferry ride, because Juno is surrounded by water in the panhandle of Southeast Alaska. There are only 90 miles of roads in Juneau, and none of them lead out of town. 9. Are you an arts and crafts lover? Rejoice: There are a number of things to do in Juneau just for you! Juneau has a thriving arts community. While shopping around, you may find earrings made from old bullets and Swarovski crystals, among other up-cycled, extremely unique creations. Lay off the Instagram for a little while and instead check out some of the local photography. If you’re looking for art made by native Alaskans, you will be extremely impressed with the handicrafts. Check out the Mount Juno Trading Post. They have authentic Native American craft items and are owned by a native family. They even have narwhal tusks. A pretty cool souvenir. 10. I scream, you scream, we all scream for ice cream made with snow, berries, reindeer fat and fish! Akutaq is what is known as Eskimo ice cream. To get authentic akutaq you may need an invite into a local native Alaskan’s home, but don’t be shy with asking around for a recipe. For the old fashioned kind of ice cream, Juneau’s got you covered with the traditional shops. 11. The Shrine to St. Theresa is not only serene and surrounded by trails to enjoy, but hosts the Merciful Love Labyrinth. The Labyrinth was created with large stones from the local beach. It is both a place for reflection and an oddity you will not experience every day. So if you’re looking to just walk and think, don’t worry: There are things to do in Juneau for you! 12. It will come as no surprise to you that salmon is kind of a big deal in Juneau. But did you know that for $5 you can watch salmon hatching at the Macauley Salmon Hatchery? A learning experience about every Alaskan’s favorite fish at a great price and one of the perfect educational things to do in Juneau, especially for the kids. 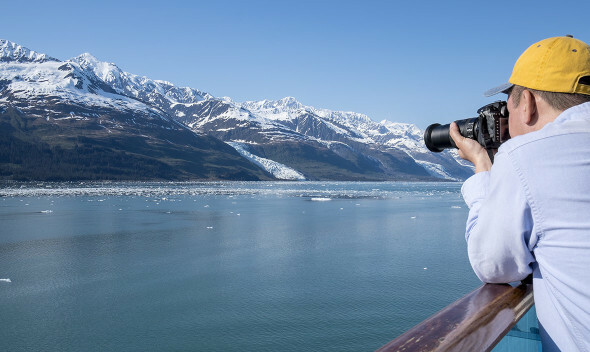 Juneau glaciers, a rich history, and an active crew of visitors mean this stunning port is a destination full of opportunity for adventure. 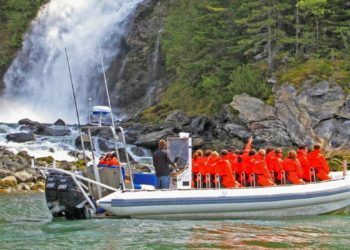 Artist, history buff, or nature lover, there are things to do in Juneau that will fit your niche perfectly. Use these fun facts and points of interest as jumping off points (don’t actually jump though, the terrain might be a bit rocky) to experience the local culture and learn more about America’s youngest state capital.